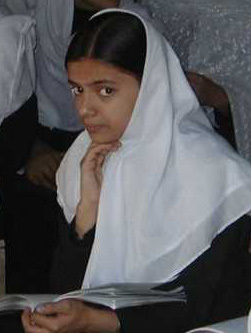 The Basic Education and Policy Support (BEPS) Activity provides specialized professional and technical services to USAID missions and regional bureaus, seeking to assist developing and newly independent nations to improve the quality, access, management and effectiveness of their educational systems, with special emphasis on basic education. In February 2000, USAID awarded the Basic Education and Policy Support Activity to Creative Associates International (CAII) and its partners. BEPS is composed of a consortium of institutions led by Creative Associates, including CARE, Groundwork and The George Washington University. Each brings expertise and resolve in improving and furthering basic education in developing countries and emerging democracies. Creative Associates International’s Education, Mobilization and Communication Division, which manages the BEPS contract, has an extensive track record working in countries in need of education reform. CAII works to improve access to education and to reintegrate education services in countries transitioning from conflict to peace. Building on this history and experience, the BEPS team works to achieve improved quality, efficiency, access and equity in education. BEPS benefits from a dedicated core staff ready to provide rapid-response technical assistance or mobilize needed consultants. BEPS activities seek to enhance educational policy dialogue and reform and puts in place planning activities. Services include policy appraisals and assessments, training and institutional strengthening and the design and implementation of pilot projects, feasibility studies, applied research studies, seminars/workshops and evaluations. Improve the quality, efficiency, access and equity of education. Support educational policy dialogue and reform. Carry out educational policy and planning activities. Carry out pilot projects and provide technical assistance.